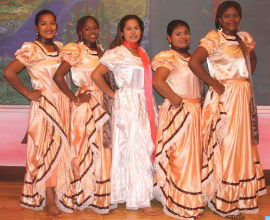 The Daughters of Corn Dance Troupe is part of Women in Action’s cultural renewal project. 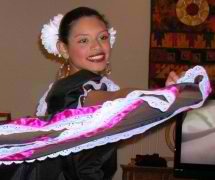 Since 2003, Compas Director, Ana Narvaez has been teaching adults and youth traditional cultural dance. 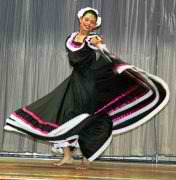 The goal is to renew interest among adults, youth and children in the traditional dance forms. 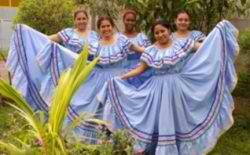 In 2004, The Daughters of Corn Dance Troupe formed through these dance classes with the idea of traveling to the US to share Nicaragua culture and promote Compas de Nicaragua’s work. In the Fall of 2004, five dancers traveled to New England to carry out a two month dance tour. Since then, the Daugthers of Corn Dance Troupe has carried out 5 more dance tours of the U.S. (2008, 2010, 2013, 2015 and 2017). The troupe has now visited over 15 states and carried out nearly 100 performances at theatres, universities, high schools, churches, and cultural centers. 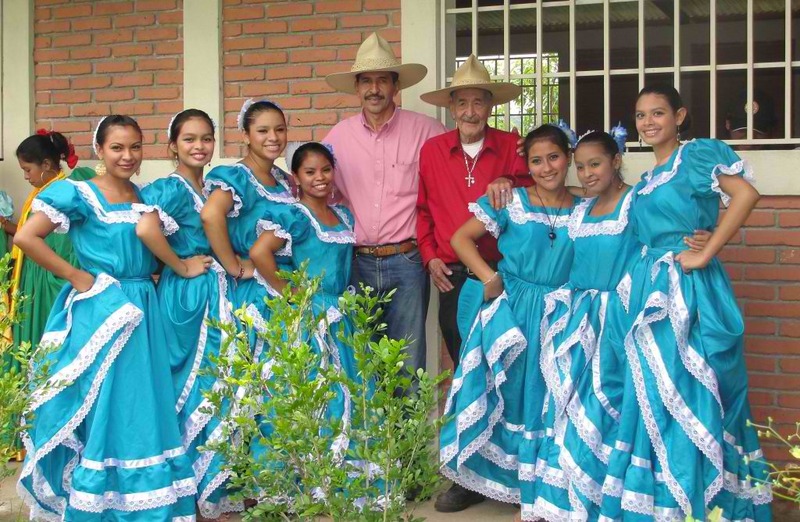 Daughters of Corn Dance Troupe with legendary Nicaragua folk singers, Felipe Urrutia and son, Polo Urrutia. The dancers bring not only the beauty of their dancing, but also the story of their important work to improve the lives of families in their community. The dancers feel the warmth with which the U.S. families welcome them into their communities and homes, and also feel an outpouring of support for their work. Audiences and host families are moved not only by the dancing, but by the dancer’s inspirational story. They are reminded of how fortunate they are and how much they can do to make a difference in the world. They learn how by working together, we can solve common problems and meet the challenges the world faces. We are thankful to be part of an organization whose work reminds us of the power of loving kindness, compassion and empathy. These difficult times challenge our ability to face fear, terror and the many problems the world faces, with hope, love and compassion. We are grateful to be part of an organization whose mission is to help improve lives by bringing people together to share, learn, and work hand in hand with each other. We believe the only way we can truly answer the problems that the world faces is to work together with the realization that we are all one people, one planet. ​These tours give us so much hope! They bring together compassionate and talented, young people from Nicaragua with young folks from the U.S. who share these qualities and who are eager and willing to work together to make positive change in the world.